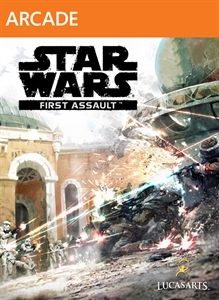 As a mega-huge Star Wars nut I squealed a bit inside when the box art for the upcoming Xbox Live Arcade title, Star Wars: First Assault was leaked a few days back. I scoured the internet looking for additional clues as to what it could be about. What type of game was it? A shooter? A Rogue Squadron-esque game? *gasp* A Battlefront game? The possibilities swam through my head. I had to know more, but every turn led to dead ends. Could Pandemic be developing it? Nope, they went under after The Saboteur was released. Maybe Slant Six Games is working on it. After all, Star Wars game load screens and character textures were found buried in the files for Resident Evil: Operation Raccoon City, and Kotaku reported in 2010 that they were working on something called Star Wars: Battlefront Online. Could this be that same game, but with a more finalized name? Maybe Spark Unlimited has the project? Nah, they denied it after stringing us along for months and finally revealing Lost Planet 3. But one thing is for sure, between the leaked box art and domain names Fusible found registered to LucasArts, this game is happening. That being said I think it’s a Battlefront game. It’s the biggest sub-franchise LucasArts has ever produced, and fans have been clamoring for another real installment since Battlefront II came out in late 2005 (the portable games don’t count). It also fits the XBLA stereotype. Look at how many online shooters we have. Battlefield 1943, Breach, Counter Strike: Global Offensive, Blacklight: Tango Down, and Hybrid. Clearly it fits the bill. But if it’s actually an online shooter it needs to be more than its competitors. Slapping the Star Wars brand on it isn’t enough. 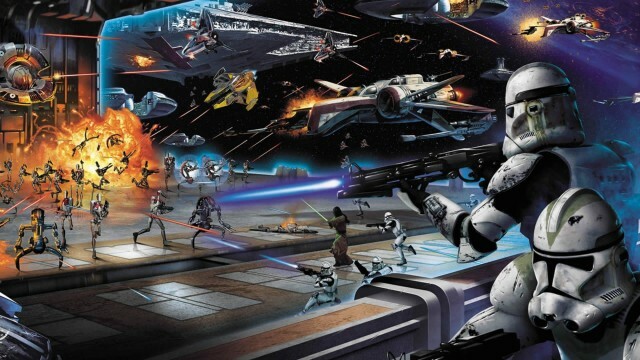 If there’s one problem LucasArts has of late, it’s the Clone Wars games. Don’t get me wrong, I think the TV series is great. The game’s on the other hand are pretty awful. Star Wars: The Clone Wars – Republic Heroes was an incredibly painful experience. It wasn’t written very well, and it played much, much worse. The only fun to be had was in the cutscenes. 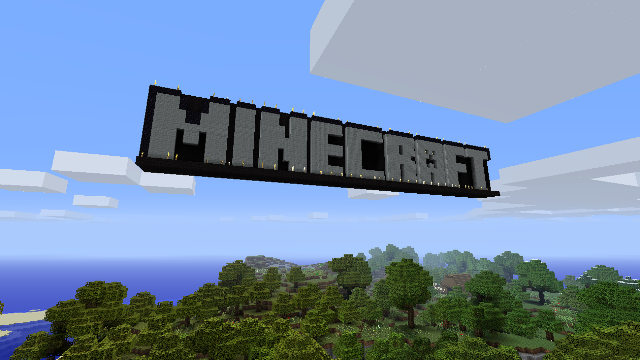 It had mechanics that didn’t work and often resulted in cheap deaths, which is doubly irritating when the game was clearly focused at a younger audience. Lightsaber Duels and Jedi Alliance weren’t much better. Only LEGO Star Wars III was a good Clone Wars experience, and that was only because it was more of the brilliant Telltale formula. No, I don’t want a tie-in. I want something that’s not restricted by movies or TV shows. If it loosely follows elements of those like Battlefront II did it won’t be shackled, and the devs will have had the freedom to create a game with a Star Wars story, rather than a Star Wars story that tries to be a game. That being said, it needs some sort of plot element–some sort of single player/cooperative experience. If it’s simply Battlefield 1943 with Stormtroopers we’re in trouble. Maybe I’m alone here, but I really wasn’t a fan of Rebellion Developments’ PSP installments, nor N-Space’s DS version of Elite Squadron. Frankly I only played through them because at the time I had a lot of free time. They weren’t just bad due to the handhelds’ clunky control schemes, they had pacing issues during gameplay. Too many maps flowed poorly, were unbalanced, and did not allow every class to shine. And speaking of classes, those games ruined Battlefront‘s class system. They allowed for too much customization and it took the strategy out of the game. Everyone was a jetpacking sniper with a rocket launcher as their alternate weapon. Pandemic’s games, however, were masterpieces. Battlefront had five simple classes: a soldier, rocketeer, pilot/medic, sniper and a special class. Battlefront II added a few new classes and playable heroes. It then took the conquest gametype formula and mixed it up with a team-based hero deathmatch mode, a proper campaign, and capture the flag modes. Star Wars: First Assault doesn’t need to have all of that in one package. It’s going to be an Xbox Live Arcade game after all, not a retail release. But there needs to be a sort of Instant Action element with bots. There should be clear, mildly customizable classes, and there should be a small handful of game modes. Unfortunately I’m just unable to get my hopes up too high any more. With the demise of Free Radical’s Battlefront III and some lackluster Star Wars titles of late I’m losing my faith in one of my favorite gaming franchises. That being said the leadership at LucasArts has been shaken up of late and the new blood may prove to be a benefit to fans. The only thing I can say for sure is that the fans know what they want, but we’re still waiting for Lucas to prove that they know, too. I’ll hold judgement until the first screenshots and trailer for First Assault get inevitably released. I mean, Star Wars 1313 looks pretty amazing so far, right? Maybe First Assault can be a new hope. 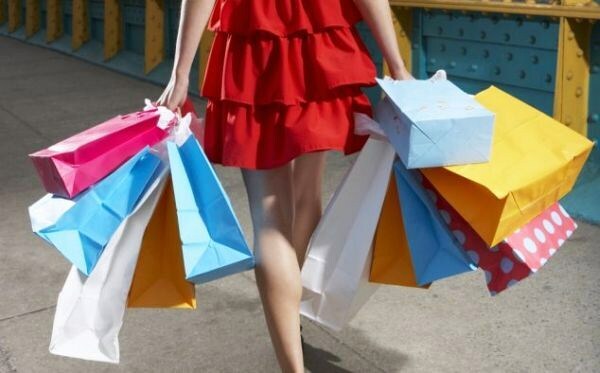 Editorial: Are gamers shopaholics, too?